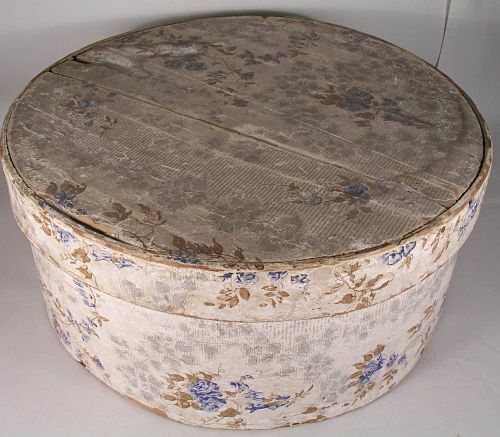 Large wooden pantry box covered in early wallpaper. 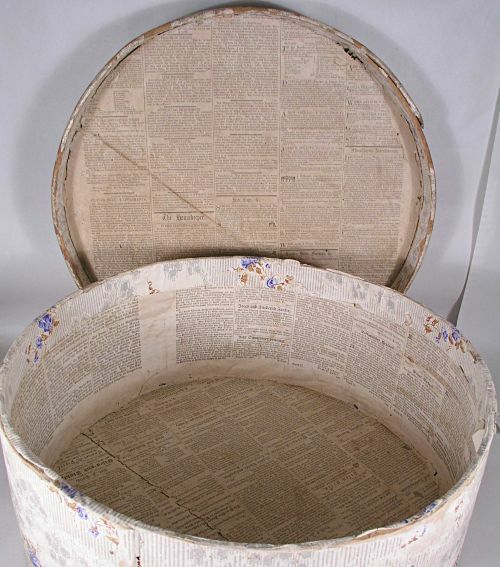 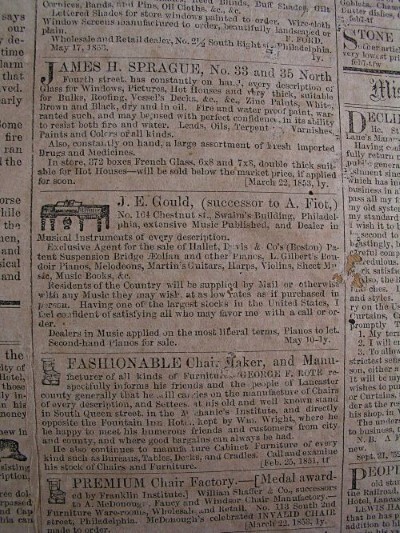 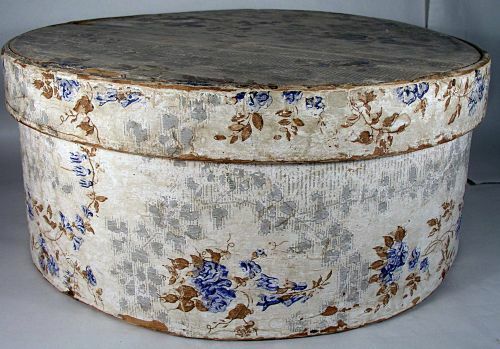 Interior lid has Lancaster County Pa. newspaper dated 1851 and bottom section is covered with Pa. German newspaper. 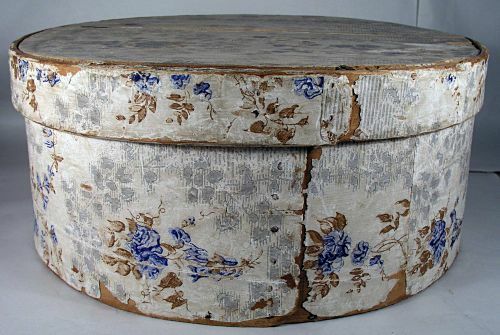 Constructed with early nails and shows expected normal wear from use.